Bella Booo Baby Body Care Range from Natural Ingredients. Hi everyone. 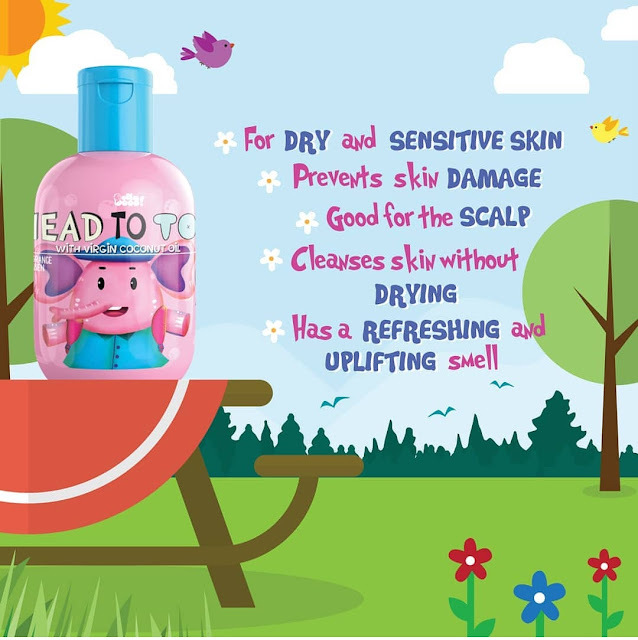 Every mommies want the best for their babies and that is include the best range for their body care range. Natural ingredients is one of the main concern when choosing products nowadays cos many aware of the side effects of chemical in product. 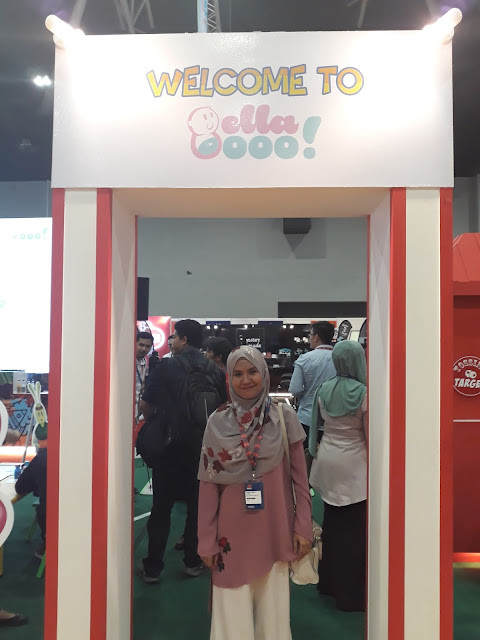 When everyone goes for natural products range, Belle AlYahya the founder of Bella Ammara together with her shared partner made a research for a new baby care products. As a mother herself she wanted the very best for her kids and thats why she produces Bella Booo, baby body care range from natural ingredients. 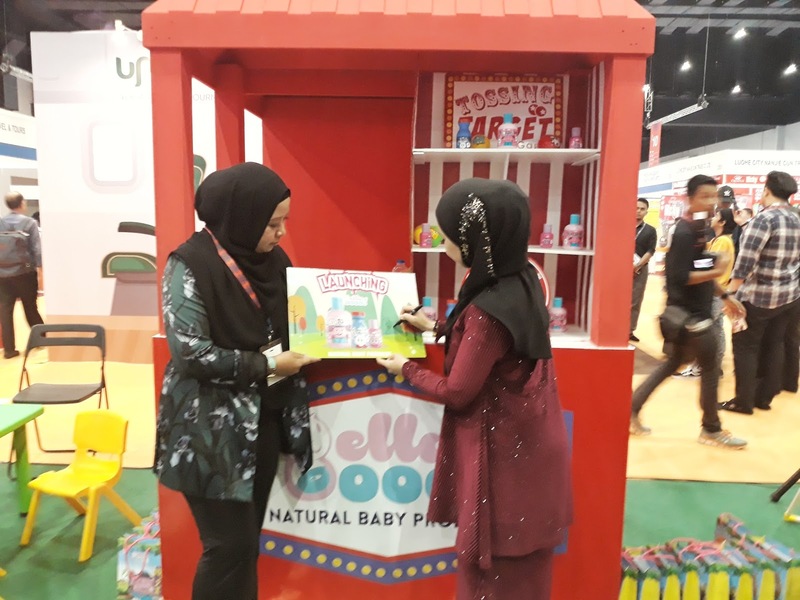 Bella Booo Sdn Bhd founded in 2017 by a group of parents who are passionate in creating baby products that are solely made using all natural ingredients that are perfect and suitable for all skin types of young, precious yet fragile babies! Bella Boo are not only made from natural products but also made with an organic ingredients. Hence baby skin are sensitive and many have an issue of eczema nowadays and found that their babies can't simply use a normal baby products. Concern with it Bella Booo were released as one of the alternative from the Malaysia markets. Even though the products has been in the market for couple of month, they never officially launch it yet. It was an honor to be able to witness the launching ceremony by the founder itself Belle Al Yahya. Belle Al Yahya definitely one of the idol in the muslimah clothing line and they were actually starts with their praying veil and I had one of those and it still in a good condition. After a successful sales of Bella Ammara praying veil, they came out with their clothing line that mostly known with their beautiful Jubah and later on with their Sugarbelle cosmetics. Hence in this 2018, they came out with a baby products Bella Booo! 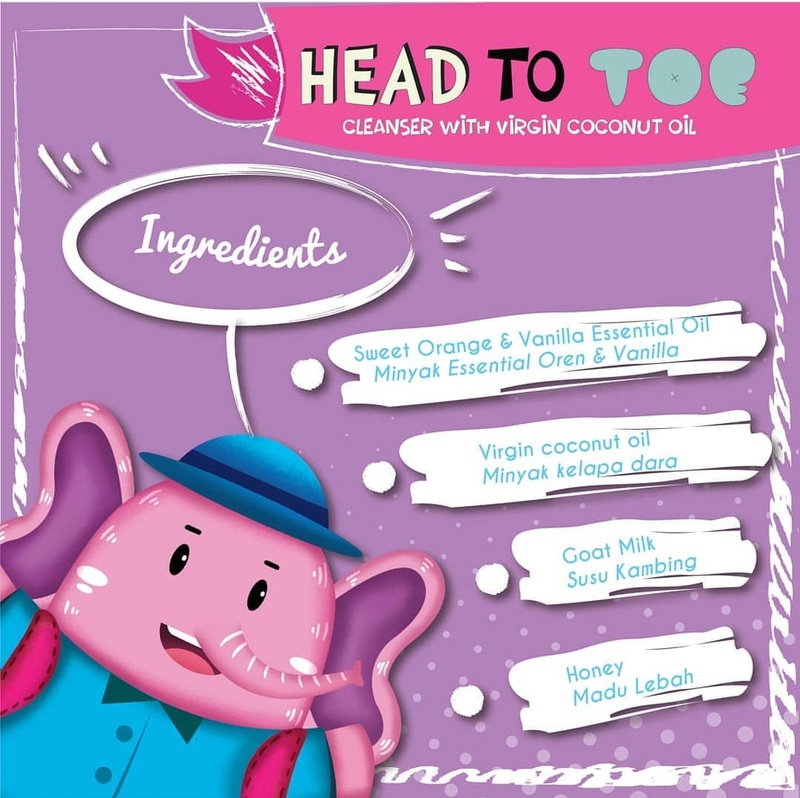 Head To Toe is a cleanser for body and can be used as a shampoo too. 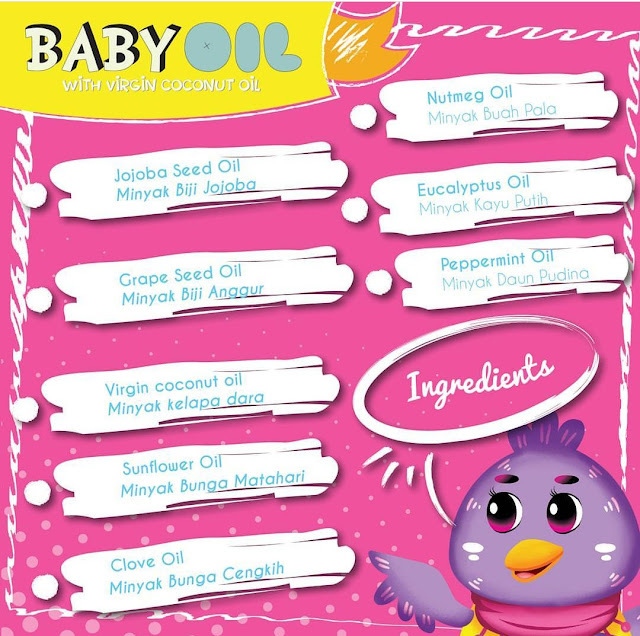 Baby friendly and does not irritate the baby’s skin nor eyes. It contains virgin coconut oil and sweet smell of orange and vanilla essential oil. Recommended for all types of baby’s skin, even sensitive skin can use this head to toe cleanser. Head to Toe products definitely one of the bestseller products so far, as I can see in their online website it is out of stocks. 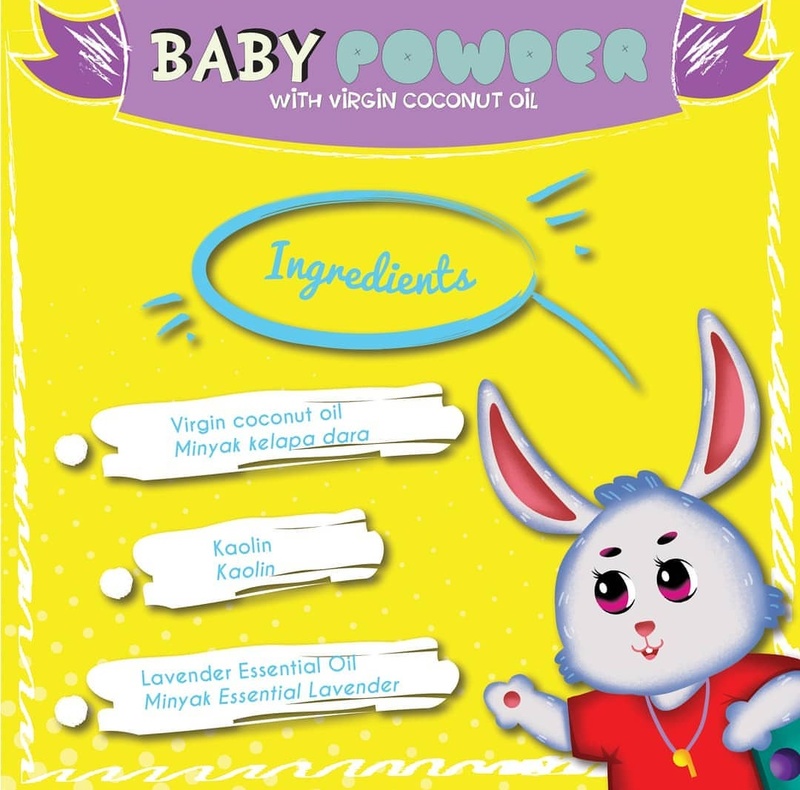 This products is quite good cause it made from virgin coconut oil that will helps to moisturize your baby skin. I have tried it to my kids and they love it too, it definitely did not irritate baby eyes. Baby powder helps to cool down skin irritation. Made from kaolin which is good for skin and virgin coconut oil that gives a moisturising effect. It is also infused with lavender essential oil. Can also be used as a mask. This baby powder did not contain any talc and did you know that talc is actually harmfull to baby? According to Dr. Adrew Weil M.D, Talc is a mineral composed of hydrated magnesium silicate. The danger is that babies can easily inhale tiny particles of it that are light enough to be carried in the air. When inhaled, talc can dry an infant's mucous membranes, adversely affect the baby's breathing, and cause serious lung damage. So do avoid using talc to your baby and a easily known effects of it pneumonia. Bella Booo Baby Oil helps with colic in babies. Free from menthol and chemical ingredient. Contains virgin coconut oil and natural essential oils for calming effect. Does not irritate baby’s skin and work great as a massage oil. Another 2 products will be release soon is a baby lotion and a perfume that newborn baby friendly. 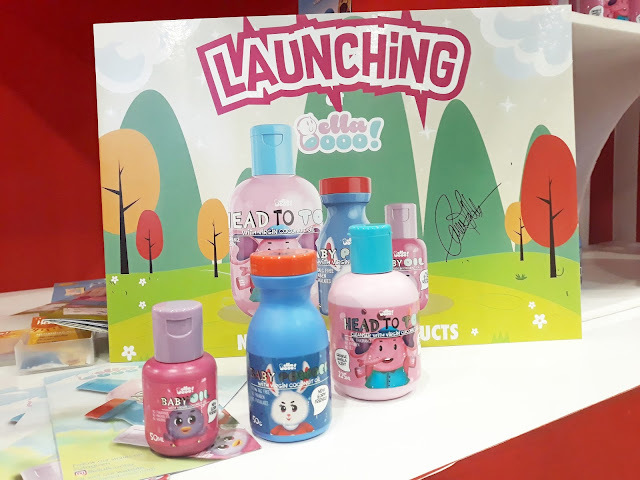 To add more colourful and joy in kids life, Bella Boo also produces a merchandise for the kids which is a Bella Booo Colouring Story Book with Stickers Vol 1. You are probably wondering, what are the differences between this book and other typical colouring books out there? 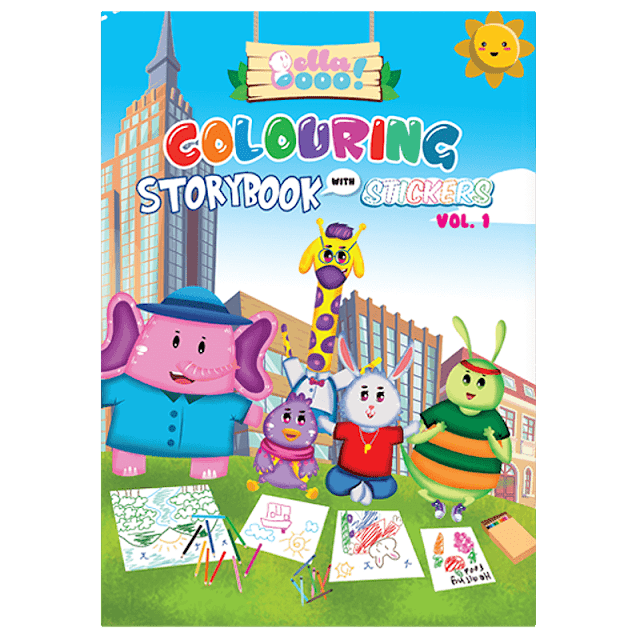 This book will provide your child with a wonderful reading material and colouring activity that comes with it. Not only that, your child can also select and match the colourful stickers that are provided along in this book. My kids do love the coloring books and they were non stop talking about what stickers they have and on on.. The stories in it yet so cheeky and I enjoy reading it to my kids. So mommies and parents out there, do choose a good baby products for your kids to avoid any side effects to their skin and their health in the future. Good things always come with a good price right? So choose wisely. Alaaaa bagusnya produk macam ni. Mesti si cilik pun suka funa produk macam ini. 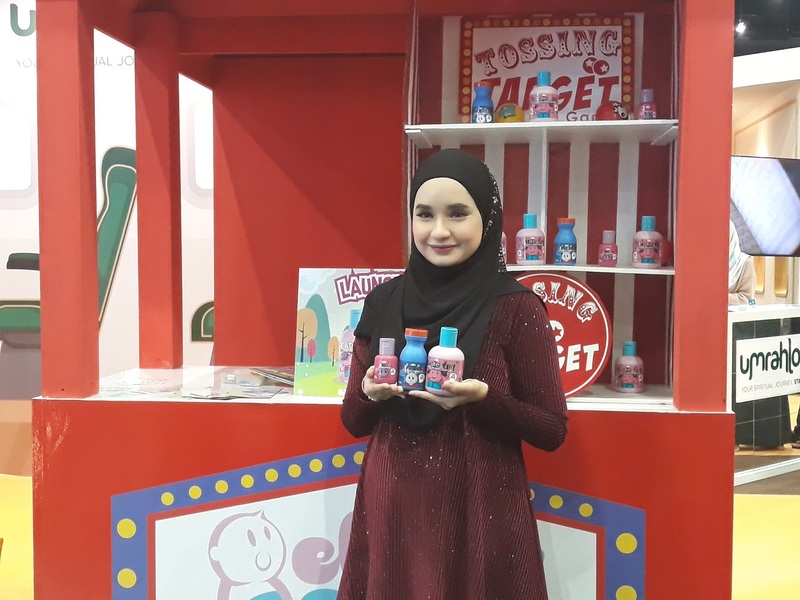 Lagipula mesti tak mengganggu kulit bayi yang lembut kan.
Comelnyaaaaaaa mereka punya packaging. Nama pun Comel. Bella Ammara pun dah sedia dikenali. Bagus bila pasangan ni melebarkan sayap ke produk anak-anak. Kagum dengan semangat mereka. Barang bayi mmg xleh buat main. Mestilah tidak mengandungi bahan kimia. Baguslah ada inisiatif mengeluarkan produk bayi berasaskan bahan semulajadi. I hope many parents can switch to this brand because they really need to know the benefits of essential oils...and the fact that its whole range is based off natural ingredients more than chemicals, already says a lot about its quality..
As a mom, I only want the best for my kids. Definitely would prefer something that is made from natural product like this. Aduhai comelnya packaging dia! Haha. Bagus betul inovasi macam ni. Setiap produk penjagaan diri sememangnya perlu mesra pada pemakainya, apatah lagi pada bayi, kan! Setuju..kalau baby yang ada kulit yang sensitip perlu lebih penjagaan yang rapi. Produk natural dan mesra untuk kegunaan harian. Boleh sarankan pada saudara jenama ni. Wah. Comel botol dia ha ha ha. Moreover organik. Aida ni ada baby yg tak lah baby sgt hi hi hi... Tapi mesti beli produk manusia Izzat yg baby kind gitu. Boleh la aida try Bella boo ni kot kan. Anak-anak aida eczema. Dari Nurin, ke syuhada and izzat. Tak boleh sebarangan produk! I really like to see the packaging so much!! Not only good for children but there bottle surely will attract them to get baru easily.... Like it!! Wow love all their packaging designs and bottle size. 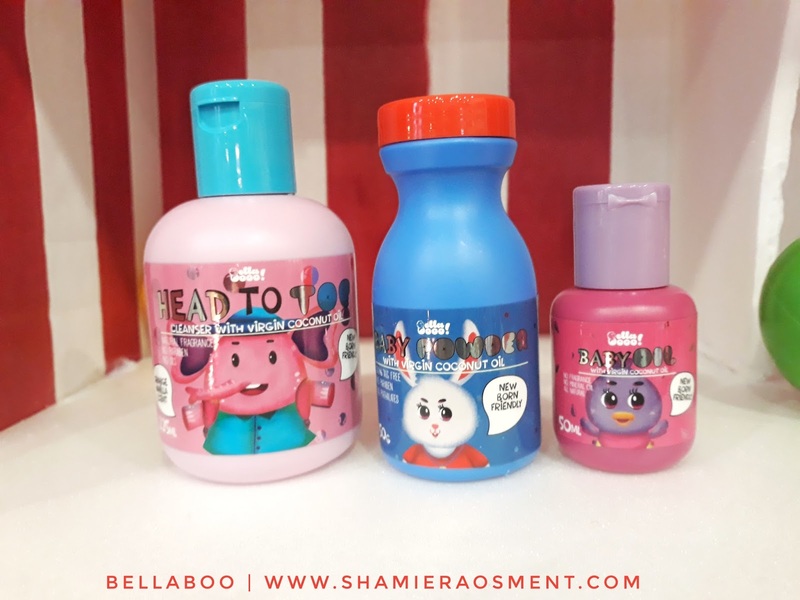 The petite bottles are very user friendly for kids and I wish to try these products too. Alaa..comelnya pakging dia, orang yg pegang tu pun comel heee..
Bagus produk semulajadi macam ni. Awal2 dah didik anak2 dengan bahan natural. Bau mesti wangi sangat.